There are many mysterious objects seen in the night sky which are not really well understood. For example, astronomers are puzzled by the 'jets' emerging from planetary nebulae. However, the S-shaped jet from Henize 3-1475 is the most perplexing of all. 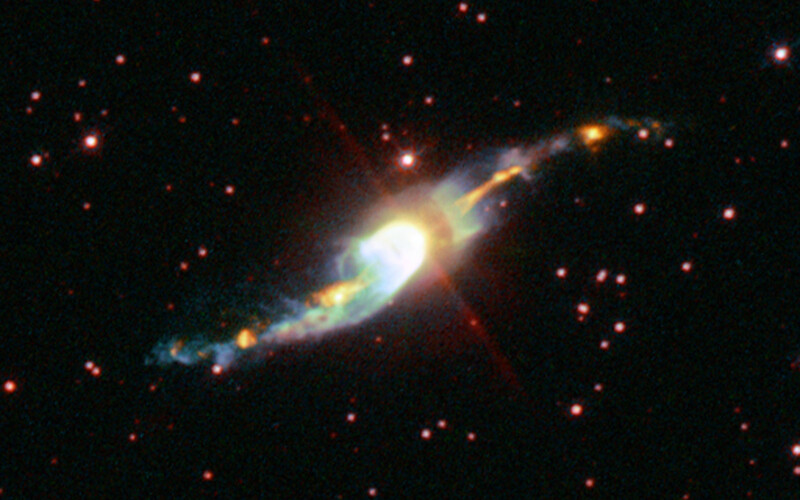 'Jets' are long outflows of fast-moving gas found near many objects in the Universe, such as around young stars, or coming from black holes, neutron stars, and planetary nebulae, for example. The NASA/ESA Hubble Space Telescope has imaged the young planetary nebula Henize 3-1475 and its bizarre jet. Astronomers have nicknamed it the 'Garden-sprinkler' Nebula. Position (Dec): -17° 56' 46.52"